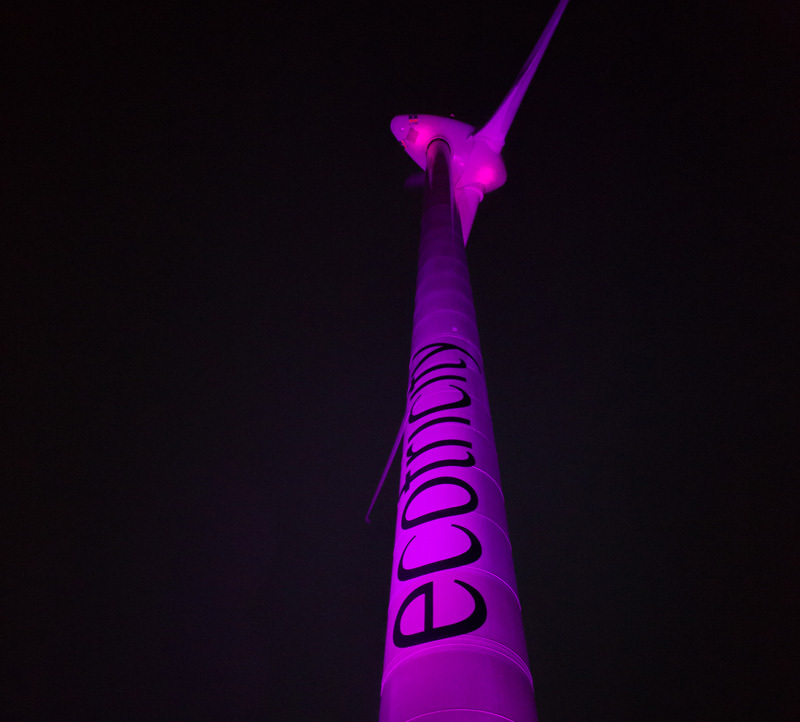 The turbine was lit up in purple, the colour adopted by the charity. 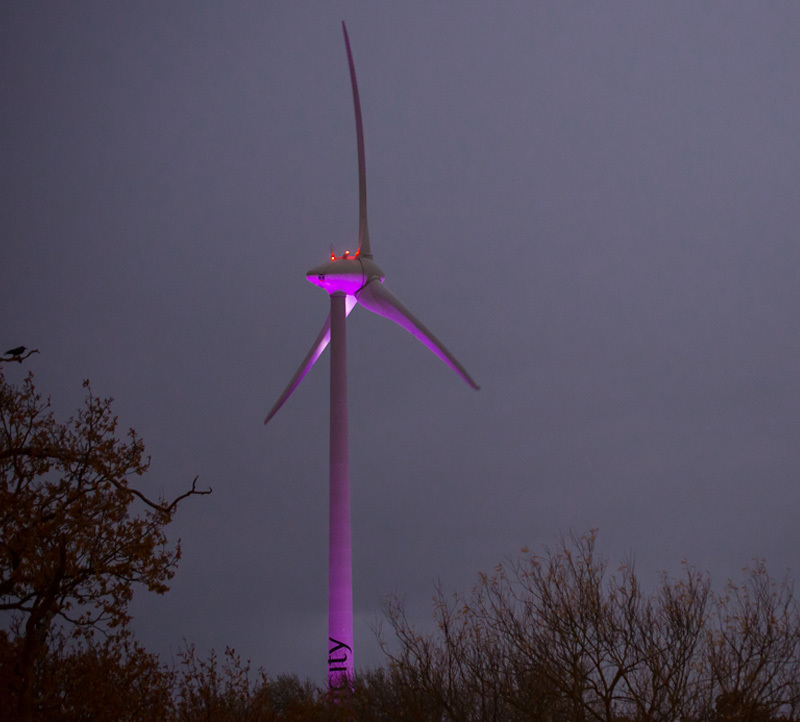 The turbine was illuminated from dusk to the small hours, because of its proximity to the M4, it was seen by an estimated 60,000 drivers. 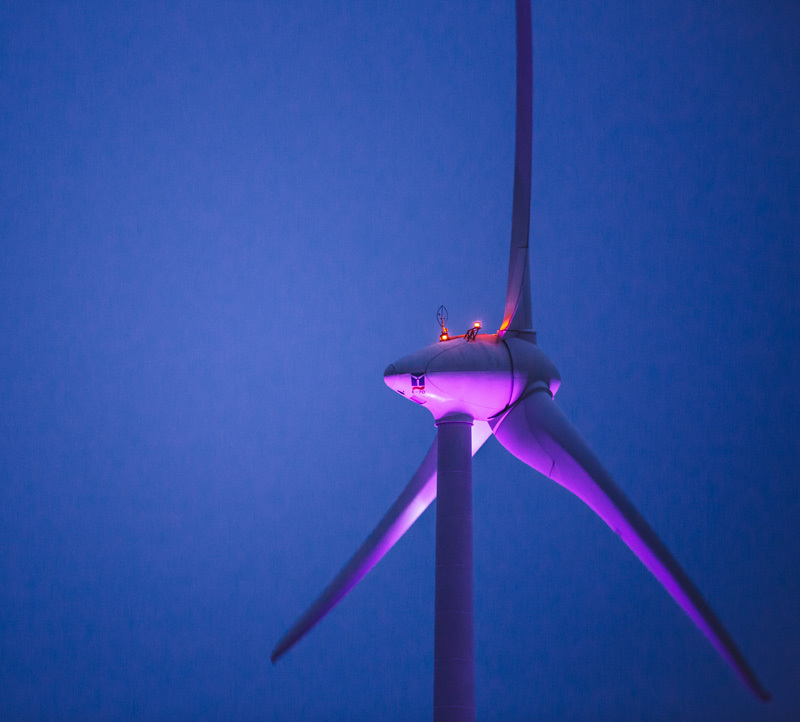 Following this, we were asked to illuminate the UK’s first wind turbine (sited Lynch Knoll in Gloucestershire) for a BBC news programme celebrating its 20th anniversary. British "green energy" entrepreneur and owner of Ecotricity, Dale Vince, OBE, was interviewed with the turbine in the background. Thank you for the brilliant job you did lighting up the Green Park Wind Turbine. It has really raised the profile of World Pancreatic Cancer day in and around Reading and will help us in our fight against this awful disease.